Jamie Elston gives chase in his side's recent victory againbst Coningsby. Wyberton booked their place in the Mason Bros Lincolnshire Junior Cup final with a narrow 1-0 win over Coningsby. 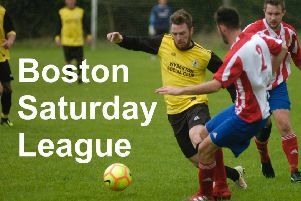 Jamie Elston’s goal settled the contest for the Lincolnshire League outfit, despite ther Boston League team pushing them hard. Joe Greswell’s side will now meet Skegness Town in the final.